The ability of geckos to climb vertical and overhanging walls has long fascinated scientists and laypeople alike. Geckos possess a complex set of specializations for adhering to smooth surfaces, which include stiff tendons that insert into their toepads. On their toepads, geckos possess millions of minute hairs called setae that act as a soft substrate that can conform to surfaces. Scientists have studied geckos for decades but the principles underlying gecko adhesion remained elusive until now. At different locations on the campus of UMass Amherst, two scientists were independently analyzing gecko adhesion with different aims. Biologist Duncan Irschick had been studying gecko climbing and clinging adhesion for over 20 years. Polymer scientist Alfred Crosby had been working on polymer adhesion for almost as long and was interested in creating a novel adhesive material that would embody gecko attributes. In 2009, with a grant from DARPA, an agency of the U.S. Department of Defense, Crosby's research team was working on synthetic adhesives built on a simple yet revolutionary principle: They believed that if adhesives were made with stiff fabrics, adhesive force could increase dramatically. Most commercial adhesives are soft and gooey, yet the Crosby group believed that this compliant nature was a limitation. Curious if their ideas about stiffness were upheld in geckos, the Crosby team reached out to Duncan Irschick. Working together, they discovered, as hypothesized, that geckos possessed stiff tendons attached to their toepads, which acted much like the stiff fabric adhesives that the Crosby lab had been developing. Al is a materials scientist and engineer interested in the mechanics of soft materials and biological systems and the leader of the initial project that developed Geckskin™. In addition to Geckskin™, he leads a research group focused on learning and using lessons from nature to influence structure–property–function relationships in synthetic materials. His research on adhesion, wrinkling, cavitation, and nanoparticle assemblies has garnered international acclaim and numerous honors and awards. He has delivered well over 100 invited lectures at universities, conferences, and companies worldwide. His research has been highlighted extensively in the popular media and he holds several patents for the technologies that have evolved from his group's focus on fundamental science and engineering. 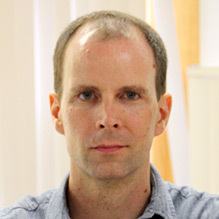 Duncan is an integrative biologist and innovator interested in the evolution and ecology of animal athletics and how biological form can inform synthetic design. His research on gecko adhesion, animal movement, and biomimicry has garnered international acclaim and many honors and awards. 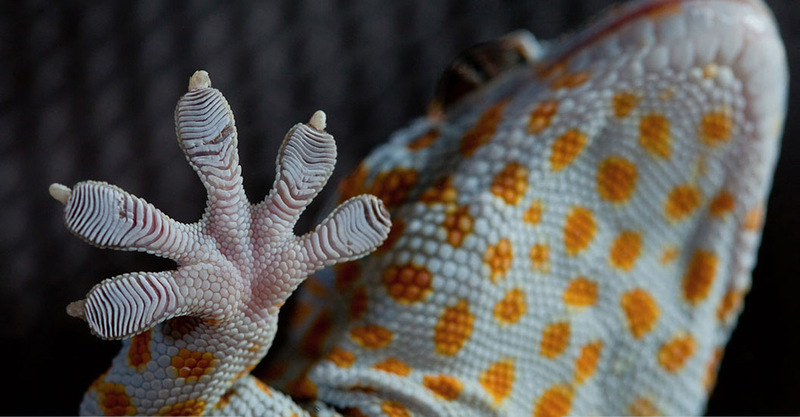 His early research on geckos first revealed the adhesive force of gecko toepads, which set a standard for biologists creating synthetic gecko adhesives. Irschick has published more than 115 papers and has been invited to give more than 70 talks at universities all over the world. In 2012 he gave a TEDx talk at the Sorbonne in Paris as part of a conference entitled The New Age of Enlightenment. He is also a Fulbright Specialist, and has given plenary talks to various universities. Mike Bartlett, PhD graduate, the Crosby Research Group, Polymer Science & Engineering: Mike is an inventor of Geckskin™ and is the first author on the seminal Geckskin™ paper that appeared in the February 2012 issue of Advanced Materials that introduced Geckskin™ to the world. He has published several papers in high impact journals on the science behind Geckskin™ and has won several awards for his research. Daniel R. King, doctoral candidate, the Crosby Research Group, Polymer Science & Engineering: Dan is an inventor of Geckskin™ and continues to innovate and design new Geckskin™ adhesives. His current research focuses on how shape and different elastomer formulations influence adhesion. Dan was a coauthor on the seminal Geckskin™ paper that appeared in the February 2012 issue of Advanced Materials and he will be lead author on several upcoming publications regarding Geckskin™. He has received several awards and much recognition for his research accomplishments on Geckskin™. Michael Imburgia, doctoral candidate, the Crosby Research Group, Polymer Science & Engineering: Michael has been an active researcher examining the role of compliance in both geckos and in synthetic devices and how it influences adhesion on different surfaces. 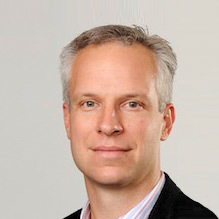 Andrew Croll, former postdoctoral researcher, the Crosby Research Group, Polymer Science & Engineering: Andrew is an inventor of Geckskin™ and was instrumental in developing the guiding scaling theory behind the design of Geckskin™. Beth Paret, former undergraduate researcher, Crosby Research Group, Polymer Science & Engineering: As an undergraduate majoring in art history, Beth was instrumental in applying her sewing skills to integrate different elements of Geckskin™, which was crucial for developing the first usable prototypes. She also provided invaluable graphic design skills to illustrate the skin–tendon–bone connections that were a critical finding in the seminal Geckskin™ paper that appeared in the February 2012 issue of Advanced Materials. For more information on Geckskin™, please contact either Alfred Crosby or Duncan Irschick.